Maintaining and owning a website is not a casual and easy task, thorough administration and website management are required to be done by a trained person in this field in order to keep the website up-to-date. If your company is not a big one, then hiring a webmaster for the management of your website might be daunting. Moreover, there are clients who like to maintain everything themselves. We, have customized, comprehensive webmaster services and website management where you can get all the services like website designing, website SEO, website programming, IT professionals and marketers. You can trust us to make your company stand out in the world of business with website content management. Changes in website content, in regular interval play a vital role; any changes in the content lead to effect negatively the business online. 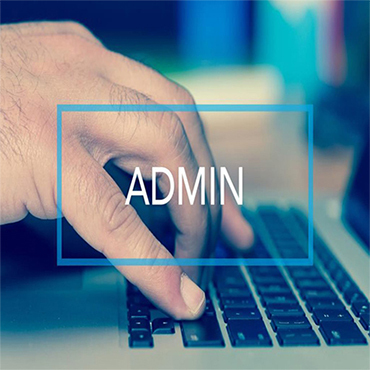 We ensure safe and steady maintenance of all the aspects of your website with our website administration. We also offer package system or pay as you go- both the options. Our professionals are dedicated to making sure your site is always ready and has the ability to speak on its own. As per requirement graphs, charts, photos,and graphics are attached. Updates are given in the website calendar regarding events, articles, news announcements etc. Pages are added or removed when needed. The new announcement of products is made. PDF files are created and then uploaded. Contact information and news of the company is updated regularly. Updating the products of the shopping cart. The list of e-mail and news teller is maintained. Corporate staffing and information are changed as per requirement. Strong technical support is provided. Domains and subdomains are created. E-mail accounts are set and maintained. Analyzing and reporting the statistics based on real-time site. Tweaking, bug fixing and enhancements are done. Performance and traffic of the site are monitored continuously. For the sake of securing the data and continuation of the business, the backup is done at the interval you want. Third party services lime webmaster tools and Google analytics are set up and integrated.